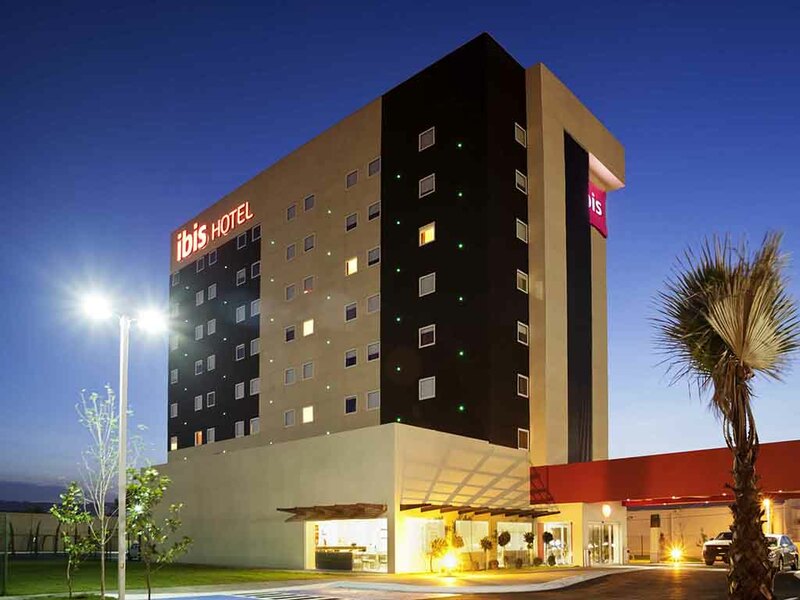 The ibis San Luis Potosí hotel is in the south of the city, in the industrial district and close to shopping centers. It offers easy access to the highway to Mexico City and is 5 minutes from the General Motors plant. The hotel has 120 modern, comfortable rooms, a restaurant and a bar with a 24/7 snack service. There is free Internet access whether you're on business or pleasure, parking and access for people with reduced mobility. The hotel is situated in the industrial district, a few minutes from the General Motors plant, the Plaza Sendero shopping center and the Estadio Alfonso Lastras stadium. It is a 20-minute drive to the city center, the cathedral and museums. Modern and inviting, the new ibis hotel room has everything you need: large bathroom, modern decor, wooden floor, 2 comfortable beds with duvets, Internet and flat-screen TV with the best international channels. Views of the main street. Our cozy ibis Kitchen Pasta & Grill restaurant serves international specialties, pasta and grilled meats that are sure to delight anyone's taste buds. Garnishes and sauces can be combined according to preference. Enjoy! Relaxation on the menu. A bite to eat, something to drink... It's the only rendez-vous you need for a new take on work and leisure.